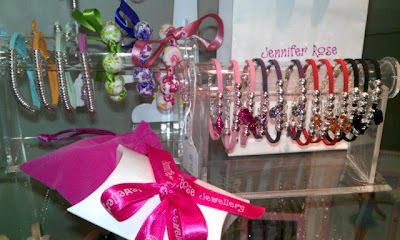 I came across this Jennifer Rose Jewellery in the beautiful Centrestage Dancewear in Linlithgow. I immediately feel in love with the jewellery. It is bright and delicate and very on trend. The jewellery is all silver plated and hand made by a local lady which makes me love it even more. Believe it or not it is actually designed for girls but there are many of the pieces that I love. I think Jennifer Rose Jewellery will make the perfect gift for big girls and little girls and I have bought a couple pieces for my nieces instead of Easter Eggs. The packaging is gorgeous too, nicer than anything I have ever seen on high end jewellery lines.